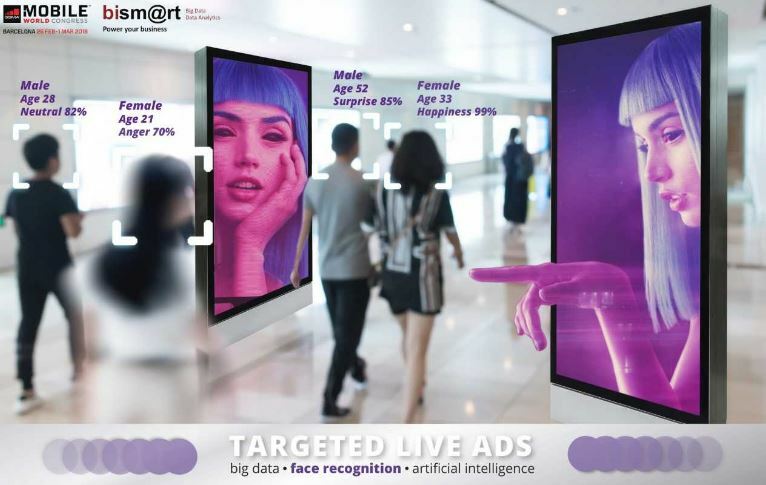 Bismart’s Artificial Intelligence brings publicity screens to life in shopping centres. Also, Targeted Live Ads can join the costumer in their way through the streets, a shopping centre, a shop, a congress… The possibilities are endless. Our software will analyze their feelings to keep a constant connexion with the costumer. The information collected by the sensors will allow for a greater precision in campaign effectivity analysis and product and line reception. With this information, we are able to more efficiently segment groups of population in order to approach campaigns according to the data and intelligence that we have.